"Lord, we pray for persecuted Christians living fearfully in Nigeria. We pray for your protection, comfort and provision. Be with them and work powerfully to bring about change in this nation. " Make some noise and help mobilise more people to pray for persecuted Christians in Nigeria by sharing on your social media feeds. Read about the current situation in Nigeria here. Donate to Open Doors' Nigeria Crisis appeal here. Hundreds of Christians were killed in northern Nigeria in 2016. While the Nigerian army has had some success in tackling the Islamic terrorist group Boko Haram, most of the recorded killings have been carried out by Hausa-Fulani herdsmen, a radical Islamic tribe that frequently targets Christian communities. In 12 of the northern states, Sharia (Islamic law) has been implemented, and Christians in these states face discrimination and restrictions in accessing community resources, such as clean water, health clinics and higher education. 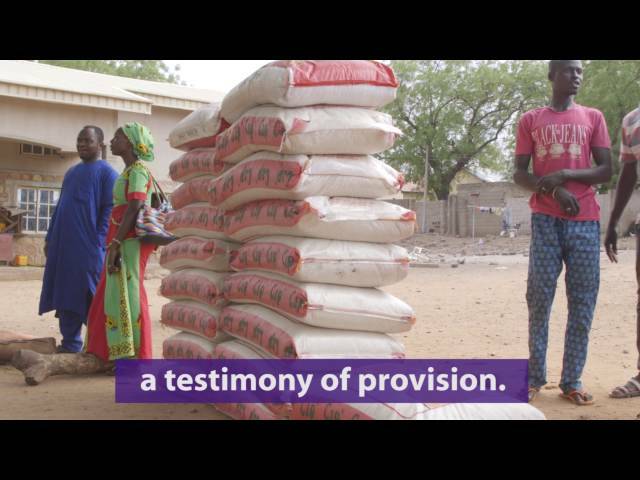 In northern Nigeria, where a humanitarian crisis is unfolding as 1.8 million people face starvation, Christians who have already been displaced by extremists are being denied access to vital aid because of their faith. Find out more on their website. Bishop Mike Moses from Adamawa State, Nigeria, describes the violent persecution faced by Christians in northern Nigeria, the faith that helps them keep going, and the support they have received from their global church family. Emergency relief and trauma counselling.